To sort of quote a line from Star Wars, "Sales must be strong with this OnePlus model." 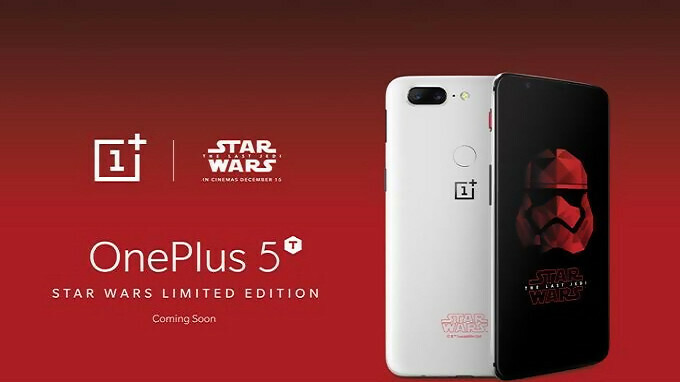 The phone in question is the OnePlus 5T Star Wars edition in Sandstone white, which sold out quickly after being launched last month in India for 38,999 rupees ($615 USD). Indian consumers paid an extra 1,000 rupees ($15 USD) for the limited edition handset, which was equipped with 128GB of native storage. 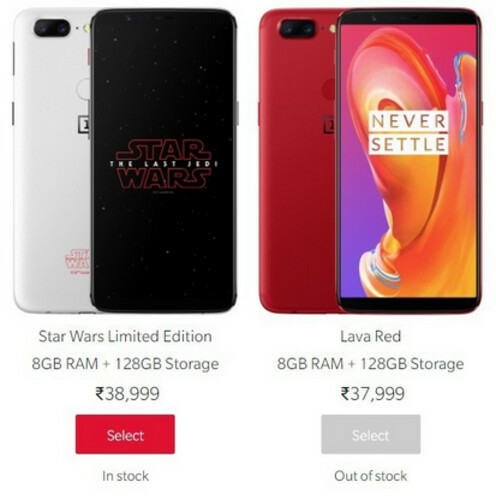 Those who missed out on purchasing the phone when it was first available, collectively used a Jedi mind trick to get OnePlus to return to the Indian marketplace with the 5T Star Wars edition. Pricing remains the same, and the handset can be found on the OnePlus India website. In case your memory isn't what it once was, the OnePlus 5T carries a 6-inch AMOLED display. Under the hood is the Snapdragon 835 chipset featuring an octa-core CPU running at 2.45GHz, and the Adreno 540 GPU. 8GB of RAM is inside along with a 3300mAh battery. The dual camera setup on back features 16MP and 20MP sensors (both with an aperture of f/1.7) and there is a 16MP selfie snapper in front. Considering that the Lava Red OnePlus 5T was just released in India on January 20th and is already sold out, you know that the OnePlus 5T is in great demand in the country. So if you are a Star Wars fan in the region who just has to have this phone, we wouldn't wait too long to pick it up; after all, this is a limited edition that already was sold out once before.. Even better, I prefer my info taken. All these people...talking about the data being leaked. It happened once...it's like starting the Note 7 debacle all over again.